Camp McLean is located along the Little Campbell River outside of Langley, British Columbia. It’s one of the primary scout camps for the Scouts Canada Fraser Valley Council, servicing over 6,000 members. Of course the camp’s newest buildings follow Scouts Canada’s emphasis on environmental conservation. This means the buildings are a testament to building green with help from Plasti-Fab products. Camp McLean’s new 2,600-square-foot machine shop used Advantage ICF System® for its foundation and above grade walls. 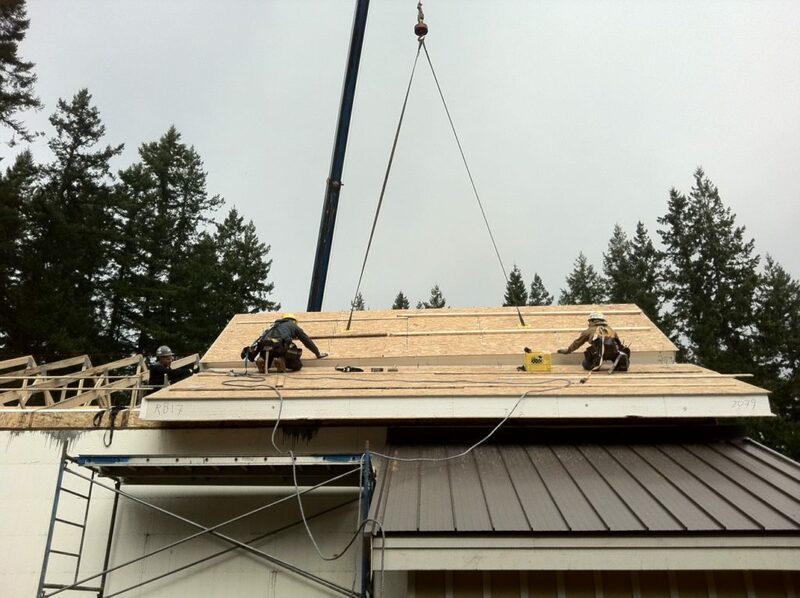 The roof used the Insulspan® Structural Insulated Panel (SIP) System. Both building systems deliver a continuous layer of expanded polystyrene (EPS) insulation that dramatically reduces heat loss due to thermal bridging and air leakage. For this reason, the walls and roof of an adjacent 2,300-square-foot storage building use Insulspan SIPs. It also has an Advantage ICF foundation. Finally, to insulate the slab, both buildings use 2” of PlastiSpan® HD EPS insulation. Insulspan’s Dave Stevenson worked with Dohm on the project. Stevenson notes the reduced energy costs allow more funds in direct support of Scouts Canada’s mission. Namely, providing values-based support for youth in the community. “We are proud to support Scouts Canada on a project that will benefit kids in the community for many years to come,” said Stevenson.